A senior Chinese central bank official said Thursday that the country is “actively communicating” with the IMF on the possibility of including the yuan, or RMB, in the basket of the Special Drawing Rights (SDRs). “We hope the IMF can fully take into account the progress of RMB internationalization, to include RMB into the basket underlining the SDR in foreseeable, near future,” said Yi Gang, vice governor of the People’s Bank of China. 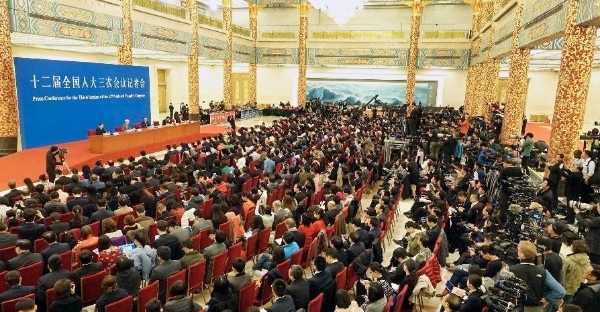 However, China will be patient until conditions are ripe, Yi said at a press conference on the sidelines of the ongoing annual parliamentary session. 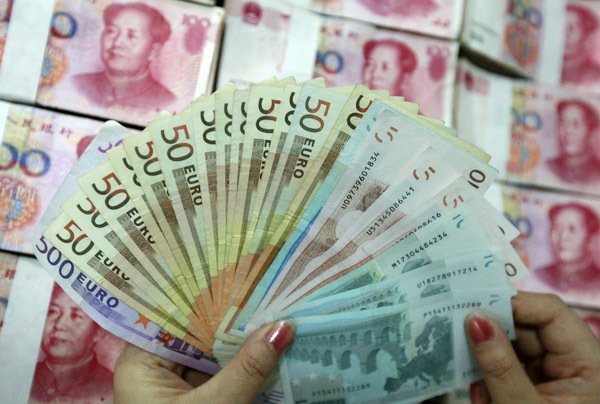 To become a currency included in the SDR basket, the trade volume of goods and services behind that currency will be evaluated, the Chinese Central Bank official explained on Thursday, stressing that RMB has no problem in this regard. But he said views are divided on whether the RMB is a freely usable currency. “No matter whether and when the RMB will be included in the SDR basket, China will push on with its financial sector reform and opening-up,” Yi said. "There will be times when we take a different approach (to the United States)," as Reuters quotes a spokesman for Prime Minister David Cameron as saying Friday, referring to the decision to join the bank. "We think that it's in the UK's national interest." On Thursday the UK applied to become the first Western founding member in the AIIB, with the UKChancellor of the Exchequer George Osborne assuring that its policy is transparent and it has an essential part in providing finance for Asian development. "Joining the AIIB at the founding stage will create an unrivalled opportunity for the UK and Asia to invest and grow together," Osborne said. The UK Treasury rejected the idea that Britain’s decision was spontaneous, adding that there had been“at least a month of extensive consultation” at the G7 level, and even that US Treasury Secretary Jack Lew participated in the negotiations. "We are wary about a trend toward constant accommodation of China," the FT quoted the US official as saying. AIIB was founded in October 2014 by China and 20 other Asian countries, including India, Singapore, Vietnam, and Kazakhstan. 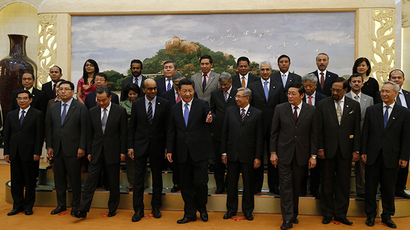 China expects to officially launch AIIB by the end of next year. The bank will allocate money for the development of roads system, telecommunication and other infrastructure projects in the poorer regions of Asia. At the initial stage AIIB will focus on creating a ‘New Silk Road’ that will include a number of trade routes to Europe. The establishment of AIIB initially proposed by Chinese President Xi Jinping is a key tool in China's efforts to increase its influence in the region. In addition to the AIIB, China is the driving force behind last year’s creation of a BRICS New Development Bank and is promoting a $40 billion Silk Road Fund to finance economic integration with Central Asia. The bank is aimed at creating an alternative for Western financial institutions and increase competition in the region, since Asia already has a major lender the Asian Development Bank. Japan, China’s major rival in the region, is the biggest shareholder in ADB along with the US. The idea of creating a bank to rival the Asian Development Bank has caused resistance from the United States, which called for its allies to stay away from the AIIB. Japan, Australia and South Korea haven’t announced their decisions, while the Australian media reports that Washington has put pressure on Canberra not to participate. South Korean Vice Finance Minister Joo Hyung Hwan told reporters on Thursday that his country is still discussing the possibility of membership with China and other countries. 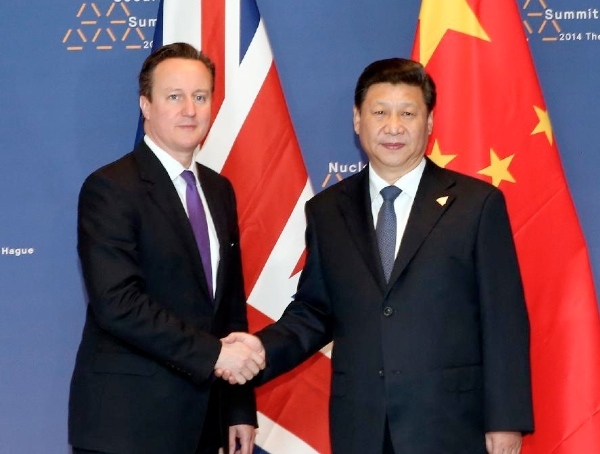 The issue of bonds in yuan by the UK government in October 2014 was the first by a Western government. 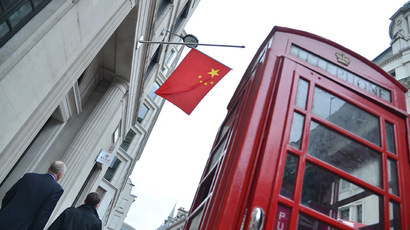 The desire to establish the City of London as a platform for overseas business in the yuan also proves Britain’s willingness to foster stronger commercial relations with China. However, the pursuit of broader cooperation has seen a negative reaction coming from US, as it fears the rapidly developing Asian economies, primarily China, could challenge Washington-based global institutions. The relationship between the US and UK have been at the core of Western policy for decades, although they’ve recently become tense over the UK’s cut in defense spending that could soon drop below the 2 percent of GDP target set by NATO. The number of tools that allow bidders to hedge their currency risks is currently not enough, that’s why Moscow Exchange offered to introduce a new hedging instrument as quickly as possible - futures on the yuan-ruble currency pair, Shemetov said Thursday as quoted by TASS. Despite a huge trade turnover between the two countries [$95.3 billion in 2014 - Ed. ], settlements in national currencies account for just 10 percent, said Shemetov adding that operating with such a low volume of money is difficult. In October 2014, the Moscow Exchange and the Bank of China signed a cooperation agreement to expand mutual settlements in national currencies. The step was made to reduce dependence on the US dollar in bilateral trade and move away from Western financial dominance. Ms. Christine Lagarde, Managing Director of the International Monetary Fund (IMF), will visit India on March 16-17 and China on March 19-23, to meet with policymakers and senior officials, as well as with representatives of other sectors of society including business, women leaders, academics and students. Ms. Lagarde will start her trip by visiting India, where she will meet with Prime Minister Narendra Modi and senior officials including Finance Minister Arun Jaitley, and Reserve Bank of India (RBI) Governor Raghuram Rajan. In addition, she will give a speech at Lady Sri Ram College in Delhi, and participate in a public event hosted by RBI in Mumbai. The visit presents an opportunity to exchange views on recent economic developments, India’s prospects and its role in the global economy. In China, Ms. Lagarde will meet with the top Chinese leadership and senior officials, including People’s Bank of China Governor ZHOU Xiaochuan and Finance Minister LOU Jiwei, to discuss the latest developments in the global economy, China’s ongoing reform efforts, and collaboration between the IMF and China. She will have a townhall meeting with students at Fudan University in Shanghai and speak at the opening ceremony of the 2015 China Development Forum (CDF), as well as on a CDF panel on “Sound Monetary Policy in the New Normal” in Beijing. If Vladimir Putin is remotely capable of laughter (the jury is out on that one…) then he’s probably doing so right now. Russia is once again Arch-Enemy of the United States. It’s like living through a really bad James Bond movie, complete with cartoonish villains. And for the last several months, the US government has been doing everything it can to torpedo the Russian economy, as well as Vladimir Putin’s standing within his own country. The economic nuclear option is to kick Russia out of the international banking system. And the US government has been vociferously pushing for this. Specifically, the US government wants to kick Russia out of SWIFT, short for the Society of Worldwide Interbank Financial Telecommunications. That’s a mouthful. But SWIFT is an important component in the global banking system because it lays the foundation for banks to communicate and transfer funds with one another. It’s a network protocol of sorts. Whenever a bank in Pakistan does business with a bank in Portugal, the funds will clear through the SWIFT network. According to the SWIFT itself, they link over 9,000 financial institutions worldwide in over 200 countries, which transact 15 million times per day. Bottom line, being part of SWIFT is critical to conducting business with the rest of the world. And if Russia gets kicked out of SWIFT, it would be a disaster. Now, SWIFT is technically organized as a ‘Cooperative Society’ and governed by a board of directors. There are 25 available board seats, and each seat is allocated for a three-year term to a specific country. The United States, Belgium, France, Germany, UK, and Switzerland each hold two seats. A handful of other countries hold just one seat. And of course, most countries don’t hold any seats at all. This is basically the exact opposite of what the US government was pushing for. On Monday afternoon, not only did SWIFT NOT kick Russia out… but they announced that they were actually giving a BOARD SEAT to Russia. But this story is even bigger than that. Because at the same time that the US government isn’t getting its way with SWIFT, the Chinese are busy putting together their own version of it called CIPS. CIPS stands for the China International Payment System; it’s intended to be a direct competitor to SWIFT, and a brand new way for global banks to communicate and transact with one another in a way that does NOT depend on the United States. We’ll talk about CIPS in more details in a future letter. But in brief, it addresses some serious weaknesses, inefficiencies, and technological challenges of SWIFT. And it should be ready to go later this year. Time to check your BRIC portfolios, kids ! The addition of a Russian seat on the Society for Worldwide Interbank Financial Telecommunication's board of directors should not be interpreted as a political move by the organisation. With the Society for Worldwide Interbank Financial Telecommunication (Swift) under pressure to throw Russia off the system as part of western sanctions against the country, the news that Russia has been given a seat on the Swift board is open to misinterpretation. But, the promotion of Russia from being represented under one of three amalgamated seats on the 25-seat board to having its own director has nothing to do with politics and nothing to do with the tensions over Russia’s involvement in Ukraine. Board seat allocation is a purely mechanical process based on traffic volumes. Swift, as every banker knows, is a non-political utility, which connects up 10,500 banks in more than 200 countries and territories. It provides the messaging that makes trillions of dollars of international payments possible. It literally makes the world of global trade and payments go round. The whole system could be blown up, however, if politicians from the US and Europe start to drag Swift into their sanction armoury against this or that country with which they are currently having problems. Regrettably this has already happened in respect of Iran. Back in March 2012, the EU passed a regulation prohibiting Swift from providing services to EU-sanctioned Iranian banks. As Swift is headquartered in Belgium, it was obliged to comply with Belgian law. Since the Swift cut-off measure almost certainly played a part in pushing Iran to the negotiating table over its nuclear programme, the temptation is to use the same means against other countries at odds with the west, such as Russia. Poland’s foreign minister, Grzegorz Schetyna, has described this as the nuclear option, which hopefully means that he understands the risks of such an approach. For, while the immediate outcome is to cause chaos in Russian finance and disrupt trade, the long-term result is for major powers, such as Russia, China and India, to build their own messaging systems. The advantages of having a global politically neutral system would be lost and would be replaced by competing systems all with their own political agenda. One can imagine a situation, a few decades hence, in which US financial institutions are thrown off a new Chinese system amidst a dispute between the two countries. US banks then find their requirements cannot be met by the truncated Swift system that has resulted from its repeated use as a sanctions tool and which now only serves a proportion of the world. The US’s trade would suffer as a consequence. That is why it is important that there is no misunderstanding about why Russia has been given a board seat. Swift’s board is reconfigured about every three years with shares, and subsequently, seats allocated on the basis of network usage. On this basis, in 2015, Russia gains a seat and Hong Kong loses one; Belgium gains an additional seat giving it two and the Netherlands loses a seat giving it one. Changes in traffic volumes could be due to a change of business hub by an international bank or the location of infrastructure, such as Euroclear in Belgium. But mostly, it reflects changes in economic growth and trade. Unsurprisingly, China gained a board seat in the last reallocation back in 2012. As economic power shifts to the east, more such changes can be expected. As long as institutions such as Swift can continue to provide a framework with open access and even treatment, all parties will benefit. The alternative is to misuse the global financial architecture as a sanctions tool and end up with a more factional and divided world economy. ...if hobummer thinks 'sanctions' will ever work again, he's delusional. China’s premier reiterated Beijing’s backing for Russian interests in Crimea, saying China hopes the Ukraine issue will be settled through dialogue. “We hope there will be a negotiated settlement of this issue through dialogue,” Premier Li Keqiang told an annual press conference after the conclusion of China’s annual parliamentary session. Speaking for two hours before foreign and domestic media, Li said there were complex causes behind the issue of Crimea, and China hopes to see a political settlement through dialogue. “We hope there will be harmonious coexistence between neighbors, and what we hope to see is that there will be the pursuit of common development and win-win outcomes between European countries and between all countries in the world,” he said. “The Ukraine issue has added to the complexity of the geopolitical situation and has affected the process of the global economic recovery. We still hope that this issue can be resolved via dialogue, negotiations and consultations,” Li added. “As for Crimea, there are complicated contributing factors. We also hope that it can be resolved politically via dialogue and hope that neighbors can peacefully coexist,” the Chinese Premier said in comments that were a strong public show of understanding from China for the Russian position. Beijing has earlier stated its position on the crisis stating categorically that Western powers should take into consideration Russia’s legitimate security concerns over Ukraine. Ukraine and Russia now share a land border of about 2,295 kilometers. The Ukraine crisis is being fueled by games played by the US and the European Union, a Chinese diplomat said last month. “The United States is unwilling to see its presence in any part of the world being weakened, but the fact is its resources are limited, and it will be to some extent a hard work to sustain its influence in external affairs, ” said Chinese envoy to Belgium Qu Xing. China has, earlier, criticized Western sanctions on Russia over the Ukraine crisis. The US is considering arming the Ukrainian military. At the end of this month, a new development bank will have arrived, the Asian Infrastructure Investment Bank, with close to 30 founding members. It will be housed in Beijing, predominantly financed by China, and will have a governance structure that reflects the GDP of each participating country. Now that the UK and New Zealand have joined as founding members, there is no real political impediment left to Australia joining up. Our treasurer, Joe Hockey is warming up to the idea, with no conspicuous dissenters. The prospect of being able to influence how US$50-100 billion of mainly Chinese money gets spent in the region will probably entice Australia to sign up as a founding country before the deadline at the end of this month. We of course shouldn’t expect to have much say in this bank. Since voting rights will be according to the GDP of each participating country, and Australia representing roughly 2% of world GDP, we won’t have much influence and will mainly have to watch others decide on things. Since we seem unlikely to put in substantial amounts of money, given the large deficit the government now runs, we will have very little skin in the game to lose. We don’t really know what the new development bank will do. The Chinese have been pushing this bank as an alternative to the US-EU dominated World Bank and IMF, as well as the Japan-dominated Asian Development Bank, which the Chinese see as doing the bidding of those powers. They have promised to put up 50% of the US$50 billion initial capital of the new bank, with an option to increase the “authorised” amount of capital to $US100 billion. The intention seems to be to fund large infrastructure projects in the Asian region, including the new Silk Road through Central Asia and new ports and (rail)roads throughout the Asian region. Yet, $50 billion is only a drop in the ocean compared to national government budgets and infrastructure needs, so the bank would have to become much bigger to deliver a lasting impression on the region. We also don’t know how funds will be allocated: those “details” are yet to be decided. The Chinese have promised a lean and fast lending process, hence without the checks-and-balances that make the World Bank and the Asian Development Bank notoriously slow and difficult. The flip-side of that coin is that they are not going to look too closely at whether the money is spent wisely or whether dictators will pocket some of it themselves. It is hoped that a large board of governors will steer things in a good direction, but there’s no guarantee. 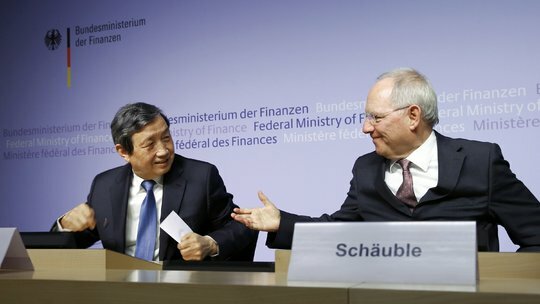 One main reason for China to set up a new development bank is that they were kept from the decision-making tables at the other development banks: despite being of roughly equal size now to the US, their voting rights in the IMF are about one third of that of the US, and their say in the Asian Development Bank is similarly paltry. Probably believing that the ability to lend helps with political influence over countries, they decided to put up their own bank, in which the voting rights would reflect economic size more directly. The decision by China to put GDP up as the measure of influence in this new institution was somewhat surprising. This will favour China for some time but may come back to haunt it when India (which is also a founding member) really becomes big. It will certainly lead to additional pressure on the “proper” measurement of GDP. How influential will the bank be? In terms of size, this is a small bank to begin with. Compared to the size of big commercial banks, the new bank will be puny: the top four banks in China have combined assets of around US$11 trillion, compared to which the new bank is a non-entity. It will also be small compared with other development banks. The International Bank for Reconstruction and Development, which is part of the World Bank Group, has an asset base of US$360 billion, with around US$230 billion of “subscribed” capital, lending out up to US$20 billion a year. The Asian Development Bank lends out some US$13 billion a year. Unless the new bank increases dramatically in size, it will be smaller than either. Its effect on the region will be to make loans cheaper, particularly if the bank is ramped up in size. This will have overspill effects on loans in the whole world, much like cheap Chinese loans helped fund the spending bubble in the US before the global financial crisis. There is an inevitability about this though: the Chinese now have trillions of dollars in surplus money earned via a huge trade surplus, and they are going to lend it out cheaply one way or another. World interest rates will be low for some time to come. All in all, I think it is a good idea for Australia to join: we have little reason to stay out, and getting a seat at the table early on means we, potentially together with the other Anglo-Saxon countries involved, will have some say in how it operates. We won’t get any money out of it ourselves, since the bank is expressly oriented towards infrastructure in Asia, but perhaps our involvement might persuade the Chinese government that it can do business with the Australian government and that we are a place to give cheap loans to in the future. What is an unknown is how this will fit in with the vaunted G20 plan to have a global infrastructure fund, potentially based in Australia. 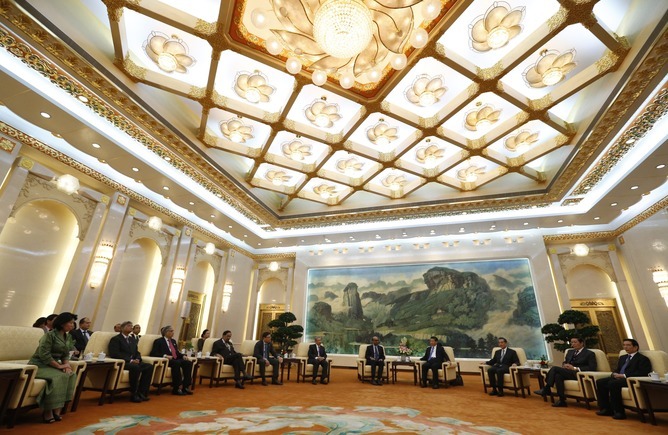 For one, the G20 talked about trillions, orders of magnitude bigger than the AIIB. Also, the new bank will only invest in Asia. So by the looks of it, this new bank has little to do with the G20 pronouncement. UK, Australia, New Zealand, Singapore and India All Sign On … South Korea Next? In short order Australia and South Korea will likely be on board and at that point, the stigma the US has created around membership will have completely disappeared (if it hasn’t already), opening the door for other US “allies” to join …. The decision by the Abbott government to sign on for negotiations to join China’s regional bank … represents another defeat for Barack Obama’s diplomacy in Asia. Since then, the Abbott government has felt absolutely zero subjective good will for Obama. This is an outlook shared by many American allies. The Obama administration has neither the continuous presence, nor the tactical wherewithal nor the store of goodwill or personal relationships to carry Canberra, or other allies, on non-essential matters. Such prestige as the US enjoys in Asia these days rests disproportionately on the shoulders of the US military. Obama has neglected and mistreated allies and as a result Washington has much less influence than previously. The saga of the China Bank is almost a textbook case of the failure of Obama’s foreign policy. Obama treats allies shabbily and as a result he loses influence with them and then seems perpetually surprised at this outcome. The consensus is that the Obama White House is insular, isolated, inward-looking, focused on the President’s personal image and ineffective in foreign policy. Since taking over leadership of the Chinese Communist Party in 2012, Mr. Xi has steadily expanded a longstanding Chinese policy of seeking political influence through lending and investment, putting his weight behind an ambitious plan to build maritime and land links between China and Europe that span the Eurasian continent. China began the plan after a 2011 call by Hillarious Rodham Clinton, who was then secretary of state, for a “new silk road” to help Afghanistan’s economy. WASHINGTON - A. P. B. The United States confirmed the words of Treasury Secretary Jacob Lu, blocking the US Congress to reform the International Monetary Fund threatens «credibility and influence» United States in the world. Lu said in a hearing before Congress that «our sincerity and international influence are at stake». Apply the fix Monetary Fund, which gives emerging nations a bigger role and doubles permanent resources remains, commenting two years ago waiting to be ratified by the US Congress, which is dominated by the Democratic administration Algmehurion.ouholt move this file in recent months, but to no avail, sparking resentment emerging economies At the forefront of Chin.oadav if the «repeated failures (...) pay other countries, including some of our allies, to question our commitment within the International Monetary Fund and other organizations». He explained that this disruption also pay emerging countries to establish a «parallel financial institutions» excluded from the United States. In this context, established Brix Group, which includes Brazil, Russia, India, China and South Africa's monetary fund last year. He believed that if the ratification of the reform of the IMF will allow the preservation of «Leadership». Thank you for the great articles Butifldrm and Tbomb. do what benefits them the most in their trade and commerce. of those who violate sovereign countries. involved. It is human nature to desire control, and that often leads to corruption. the end of its usefulness due to corruption that has tainted it for 100's of years. Bail outs were completely insane, and how they were constructed is beyond criminal. due to that ugly thing called greed. As the experience of the 1930s testified, a prolonged global downturn can have profound political and geopolitical repercussions. In the U.S. and Europe, the downturn has already inspired unsavory, right-wing populist movements. It could also bring abouttrade wars and intense competition over natural resources, and the eventual breakdown of important institutions like European Union and the World Trade Organization. Even a shooting war is possible. Former Goldman Sachs technical analyst Charles Nenner – who has made some big accurate calls, and counts major hedge funds, banks, brokerage houses, and high net worth individuals as clients – saysthere will be “a major war”, which will drive the Dow to 5,000. Armstrong wrote pieces recently entitled, “Why We will Go to War with Russia“, and another one saying, “Prepare for World War III“. Indeed, we’ve extensively documented that the wars in the Middle East and North Africa are largely about oil and gas. The war in Gaza may be no exception. And see this. And Ukraine may largely be aboutgas as well. initiative reveals that foreign powers may have a strong influence over the rebels. Trillions of dollars of debts will be restructured and millions of financially prudent savers will lose large percentages of their real purchasing power at exactly the wrong time in their lives. Again, the world will not end, but the social fabric of the profligate nations will be stretched and in some cases torn. Sadly, looking back through economic history,all too often war is the manifestation of simple economic entropy played to its logical conclusion. We believe that war is an inevitable consequence of the current global economic situation. another world war, says international investor Jim Rogers.
. This will distract everyone from the NSA and justify what they have been doing. world is heading at breakneck speed towards WW3. are capable of conjuring up some of the most complicated events the world has ever seen? Please, that just doesn't hold water. WASHINGTON—The Obama administration, facing defiance by allies that have signed up to support a new Chinese-led infrastructure fund, is proposing that the bank work in a partnership with Washington-backed development institutions, such as the World Bank. The collaborative approach is designed to steer the new bank toward economic aims of the world’s leading economies and away from becoming an instrument of Beijing’s foreign policy. The bank’s potential to promote new alliances and sidestep existing institutions has been one of the Obama administration’s chief concerns as key allies including the U.K., Germany and France lined up in recent days to become founding members of the new Asian Infrastructure Investment Bank. The Obama administration wants to use existing development banks to co-finance projects with Beijing’s new organization. Indirect support would help the U.S. address another long-standing goal: ensuring the new institution’s standards are designed to prevent unhealthy debt buildups, human-rights abuses and environmental risks. U.S. support could also pave the way for American companies to bid on the new bank’s projects. Mr. Sheets argues that co-financed projects would ensure the bank complements rather than competes with existing institutions. If the new bank were to adopt the same governance and operational standards, he said, it could both bolster the international financial system and help meet major infrastructure-investment gaps. No decision has been made by the new Chinese-led bank about whether it will partner with existing multilateral development banks, as the facility is still being formed, though co-financing is unlikely to face opposition from U.S. allies. “It will effectively cooperate with and complement the existing multilateral development banks such as the World Bank and the Asian Development Bank to provide investment and financing for the infrastructure building in Asia,” he said. The U.S. suffered a diplomatic embarrassment last week after several of its key European allies publicly rebuffed Washington’s pleas to snub Beijing’s invitations to join the bank and instead said they would be founding members. Backing the new bank through co-financing could also help the U.S. move past the diplomatic mess, reunite with its trans-Atlantic allies on this issue and counter any perceptions that the U.S. is wholly opposed to the institution as part of a China-containment strategy. “Our concern has always been…will it adhere to the kinds of high standards that the international financial institutions have developed?” U.S. Treasury Secretary Jacob Lewtold U.S. lawmakers last week. Co-financing, combined with European membership, “will make it more likely this institution largely conforms to the international standards,” said Matthew Goodman, an Asia expert at the Center for Strategic and International Studies adviser and former economics director at the U.S. National Security Council. The World Bank, forged out of World War II, remains the leading international development institution with 188 nations as members. But others have emerged amid concerns about drawing more investment and attention to fast-growing regions. Those include the Asian Development Bank, the African Development Bank, European Investment Bank and the Inter-American Development Bank. The banks’ loans are designed to foster infrastructure and development projects that are often high-risk and long-term, helping to lower the costs for governments that couldn’t afford borrowing from the private sector. For the most powerful lending countries, they cultivate regional growth prospects and can provide a political tool for influencing smaller countries. Beijing has struggled to increase its influence within the World Bank, the Asian Development Bank and the world’s emergency lender, the International Monetary Fund. But as the founder and one of the new bank’s largest shareholders, it will have the greatest say in which projects to pick. Infrastructure needs around the world are enormous. 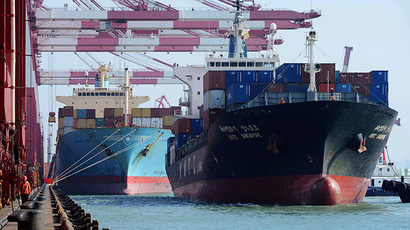 Emerging countries need new ports, railways, bridges, airports and roads to support faster growth. Developed economies, meanwhile, must replace aging infrastructure. The Asian Development Bank estimates its region alone faces an annual financing shortfall of $800 billion a year. The consulting firm McKinsey & Company estimates global infrastructure-investment needs through 2030 total $57 trillion. By comparison, the Asian Development Bank has just $160 billion in capital and the World Bank-which has co-financed with other regional institutions for years—has around $500 billion. The China-led bank plans to have a $50 billion fund to start. 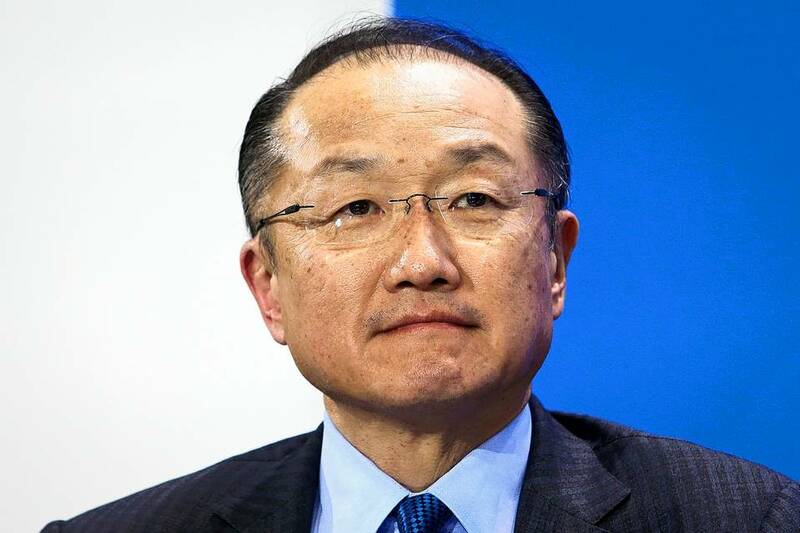 “We have every intention of sharing knowledge and co-investing in projects throughout Asia,” said Mr. Kim, who was picked by President Barack Obama in 2012 as the U.S. nominee to lead the World Bank. “From the perspective simply of the need for more infrastructure spending, there’s no doubt that we welcome the entry of the Asian Infrastructure Investment Bank,” Mr. Kim said. The brouhaha over the new bank highlights the growing complexity of the West’s relationship with China’s emerging power. “In the European countries, there were often divides between the finance ministries that saw commercial opportunities and the foreign ministries that have some of the same concerns we do,” a senior U.S. administration official said. Beijing has set up more than a dozen parallel structures that challenge the established international order, from the Chiang Mai Initiative, a regional currency swap facility designed to mimic the International Monetary Fund, to the Brics bank, an infrastructure bank named after the world’s largest emerging market economies. But without the standards that the World Bank and other U.S.-influenced lending facilities have developed over decades, China’s new bank risks fomenting distrust with the U.S. and creating a host of social and economic issues. It could also help subsidize Chinese corporate interests.Lack of transparency in the new bank’s governance could nurture suspicion, for instance, about whether Beijing would use its financing to develop deep-water ports in strategic harbors that could accommodate China’s growing navy. Lending to countries without consideration of whether governments can pay back the loans could sow the seeds for future financial crises. Investment in dams that required massive population relocation could, without adequate safeguards, fuel human-rights abuses. As China’s economy slows faster than expected, the country faces growing spare-production capacity. Infrastructure investment could help sop some of that excess capacity up, as well as offer higher returns on its trillion-dollar holdings of low-interest U.S. Treasurys. But while wary of China, Washington has at the same time been trying to pull the country into the global political and economic architecture based on the theory that Beijing’s participation cultivates greater responsibility. Co-financing could become a steppingstone for the U.S. to join in a few years. That’s why economists such as Fred Bergsten, a senior fellow at the Peterson Institute and a former senior U.S. Treasury official, pushed for the U.S. to join the China-led bank. “It has been a great pleasure to be back in China once again and to witness the vibrancy of its economy and society, and the dedication of its people to a more open, confident and prosperous China. “In Beijing, I had the privilege of meeting with Premier Li Keqiang, Vice Premier Ma Kai, and People’s Bank of China Governor Zhou Xiaochuan. In Shanghai, I met with Party Secretary Han Zheng and his colleagues. “In my meetings with the authorities, we exchanged views on recent developments in the global economy, China’s ongoing reform efforts, strengthening the partnership between the IMF and China, and China’s upcoming presidency of the G20 in 2016. The implementation of structural reforms as outlined in the 3rd Plenum Blueprint is underway. This should lead to slower, safer, and more sustainable growth--with a focus on innovation and entrepreneurship--which will be good for China and its people – and good for the world. I noted the impressive efforts made by the Chinese government to reform in three key areas in particular: cleaning up the house, by promoting good governance through strengthening the legal framework and the anti-corruption campaign; cleaning up the air, by curbing pollution and preserving the environment; and clearing the path to even more engagement with the world, through China’s further participation in the multilateral dialogue and through more international investment and trade. I welcomed China’s various initiatives in this area, including through the newly established Asian Infrastructure Investment Bank (AIIB). “I am very impressed by the rapid internationalization of Renminbi (RMB) in recent years. The authorities’ commitment to accelerate reforms, particularly in the financial and external sectors, should further facilitate the international use of the RMB. 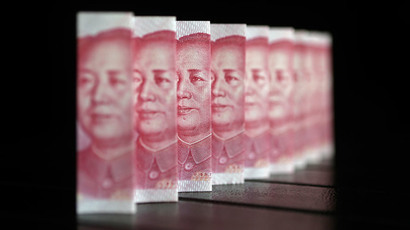 The authorities have also expressed interest in having the RMB included in the SDR basket. We welcome and share this objective, and we will work closely with the Chinese authorities in this regard. “During our meetings, we also discussed the delays in implementing the IMF’s 2010 quota and governance reform. I share the authorities’ view that every effort should continue to be undertaken to ensure that these reforms can be made effective as soon as possible. “During my visit, I was honored to speak at the 2015 China Development Forum where I met with Vice Premier Zhang Gaoli and other senior policymakers, business executives and thought leaders on pressing issues facing the world and China in the “New Normal”. Topics of discussion included monetary policy, fiscal reforms, and enhancing international cooperation. “I had also a series of very interesting meetings in Beijing and Shanghai with a broad section of Chinese society, including young entrepreneurs, financial sector practitioners, accomplished Chinese women, and students at Fudan University--where I had the opportunity to engage with them in a conversation on creating new ingredients for growth and success. Russia has become the latest country to announce it will join the China-led Asian Infrastructure Investment Bank (AIIB), to be based in Beijing. Russian Deputy Prime Minister Igor Shuvalov made the announcement on March 28 at an international forum in China. The Russian news agency RIA Novosti quotes Shuvalov as saying President Vladimir Putin had made the decision in favor of participating. Russia is the latest in a string of countries, including many of the U.S.'s closest allies in Europe and Asia, to announce plans to join the bank ahead of a March 31 deadline to become a charter member. 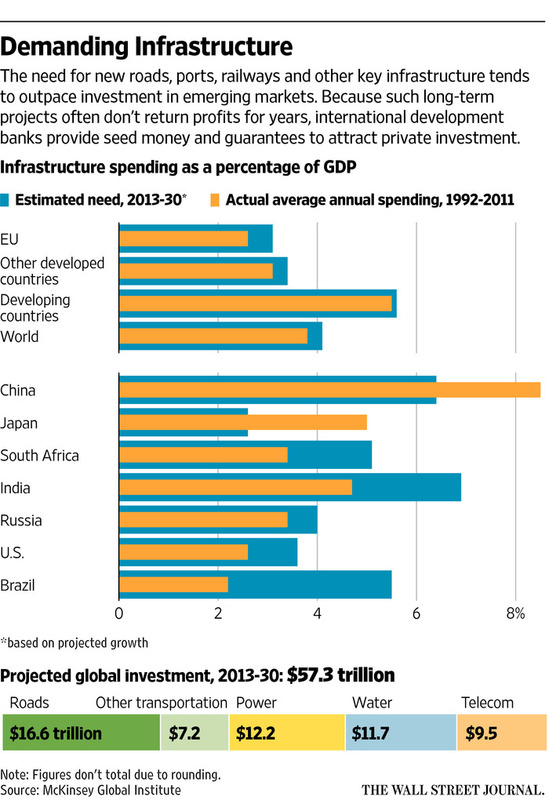 The $50 billion bank would be used to fund infrastructure improvements, like new roads and rail lines, in Asia. The United States has voiced only lukewarm support for the bank, saying it has concerns the AIIB may not meet international standards on transparency, the environment, and labor conditions. The AIIB, seen as a challenge to existing institutions the World Bank and Asian Development Bank, has drawn a cool response from the United States, despite which European U.S. allies including Britain, France, Germanyand Italy have already announced they would join the bank. Australia announced Sunday she intends to join the ADB to invest in infrastructure promoted by Beijing at the same time stressing the need that this bank is not administered unilaterally. China has signed and about twenty other country last October on the agreement aims to establish ADB to invest in infrastructure, which will be initially capitalized at $ 50 billion (46 billion euros) and will be based in Beijing. Britain, France, Germany, Italy, also announced its intention to join this organization that criticized Washington. The United States, which has historically been dominated by the international financial institutions by surprise Chinese initiative has been taken. South Korea, Thursday became the last country maintains close relations with Washington to announce his intention to join this project. He said the Prime Minister and Finance Minister and Foreign Minister Tony Abbott and Joe Hockey and Julie Bishop in a joint statement that "the great progress accomplished in terms of the structure of the bank and its governance and transparency in recent months, but there are still outstanding issues we will discuss in the negotiations." He added that the text "The main problems to be solved before considering Australia to join the ADB to invest in infrastructure related to the validity of the Board of Directors on key decisions to invest and the necessity that does not control any country on the bank." The government said it will sign an agreement to Canberra allowed to participate in the negotiations as a possible founder of the ADB to invest in infrastructure, which is his goal in the financing of infrastructure works in Asia by protocol. The statement added that the Asian Investment Bank "has the ability to play an important role in the face of the needs in infrastructure and accelerate regional economic growth, with potential benefits for Australia." In the scenes of President Barack Obama's administration exerted intense pressure to block the advance of China accused of trying to blow up a project of international standards on development. World Bank official admitted yesterday that the bank has been under pressure for reform at a time when more countries join the ADB investment infrastructure, backed by China, while Brazil announced its intention to join the bank also intends to Australia to join as well. Said Cyril Muller, vice president of the bank in «the annual Boao Forum for Asia» «We have a strong impetus for change quickly». Mueller also expressed support for the idea of ​​implicit establish a new investment bank completely. He told delegates «all of the major financial institutions in the world to learn from the other and I support the argument that the beginning of nothing good idea». But Mueller opposed the rumors about the existence of tension at the World Bank between the United States, Japan and Europe by the emerging countries such as China on the other. Beijing initiative was to establish a new bank by the end of the year to finance the construction of railways, roads and energy projects and other economic focus of the conference. Some argue that the Asian Bank for investment in infrastructure will serve as a potential rival to the International Monetary Fund and the World Bank, which are dominated by the United States and the Asian Development Bank which is dominated by Japan. It is noteworthy that both Britain and Germany, France and Italy decided to join the bank, while Russia signed the accession of the first plan yesterday. It is noteworthy that China will host the annual conference in Boao, Hainan resort since 2002. The founders of the conference hopes to develop into a vision of the Asian World Economic Forum's annual Davos, Switzerland. Brazil said last Friday that it has accepted an invitation from China to join as a founding member to the Asian Bank for investment in infrastructure (Oah.aa.aa. me), which is chaired by Beijing. He said President Dilma Rousseff's office in a short statement that «Brazil is very keen to participate in this initiative». He said he was not setting conditions for participation. Seen Bank (Oah.aa.aa. me) that it is a challenge to the World Bank and the Asian Development Bank and an important step for the global influence of China. China is the largest trading partner of Brazil. The United States has warned that the new bank, but Britain, France, Germany, Italy, and Washington's allies in Europe, announced this month that it will join the bank, prompting President Barack Obama's administration to re-evaluate its position. For its part, Australia announced Sunday that it intends to join the Asian Investment Bank, while stressing that it should not be this bank managed unilaterally. China has signed and about twenty other state last October on a deal aimed at the establishment of the Asian Bank for investment in infrastructure, which will be initially capitalized at $ 50 billion (46 billion euros) and will be based in Beijing. Britain, France, Germany, Italy, and has also announced its intention to join this organization that criticized Washington. The United States, which has historically been dominated by the international financial institutions by surprise Chinese initiative has been taken. South Korea, Thursday became the latest country maintains close relations with Washington to announce his intention to join the project. Cairo: spokesman for the Egyptian Foreign Ministry announced Monday that his country wants to join the ADB to invest in infrastructure, which Beijing launched. Twenty China signed other country in the October agreement aims to establish the said bank, which will be capitalized in the first stage of fifty billion dollars (46 billion euros) to be based in Beijing. He said Badr Abdel Ati told AFP that "Egypt has asked to join the ADB to invest in infrastructure." In turn, Britain, France, Germany, Italy, Russia announced its intention to join this institution which has been criticized by Washington. The United States has historically dominated the international financial institutions. I've been calling the Yuan for the past 5 years (maybe more) ......I've been holding it for a while now ..... I bought quite a lot more (on info I was given) in early 2013 (posted about it) and sold early 2014 made quite a lot of money out of that one. Right now were back at the position where I was informed about in 2013, buy more or not is the question. I'm pretty sure I still have 100,000 Yuan in the safe that I bought back in 2008 for 13.16 Yuan to £1 ..... today its at 9.19 to £1 ...... thats a £3,283 ($4,861)profit in 7years, better than a bank account, all good in my book.